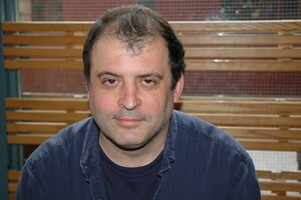 Richard is a well-known and proficient writer and analyst, with a string of best-selling chess books to his active. 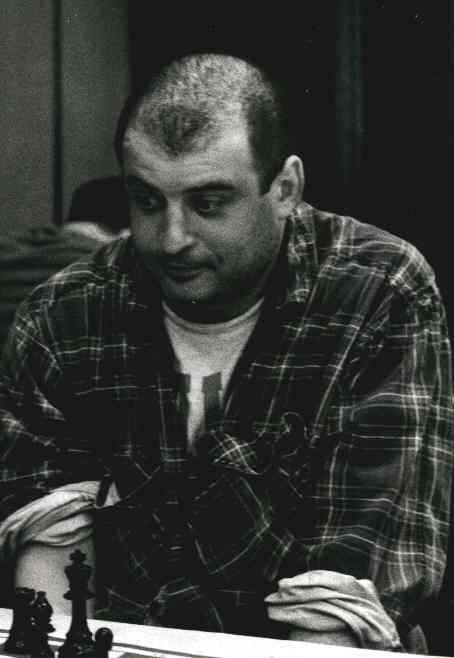 I became a professional player in 1983, and have been a Grandmaster since 1990. I have represented England twice, and was Captain of the French team at the Yerevan Olympiad, in Armenia (I didn’t actually play, but they needed someone to get the coffees!) I have written ten books, most notably Easy Guide to the Najdorf and the ChessBase CD The Classical Sicilian. I was born on September 27th 1958 in The Bronx, New York. My early interests included baseball and basketball, chess didn't arrive on the scene till later. A lot of my contemporaries were child prodigies, young masters and the like. I first played chess in grammar school with my friends but we didn't know most of the rules. Castling? What's that and don't even think about en passant. Real chess occurred in September of 1972 like a lot of players in my generation. The big event was the Fischer vs Spassky World Championship match in Reyjavik Iceland. I lived with my parents and my younger sister Angela in Piscataway, New Jersey back then. I remember flipping the channels on the T.V. ( No remote controls back then or cable.) when I came to channel 13, the educational network. There was this guy ( Master Shelby Lyman) doing commentary on the match with several strong guests discussing the various positions. I found the names of the openings amusing but tuned in for every game. I never realized it, but that was a significant moment in my life. Several months after the match with some help from my mom I found the Piscataway Chess Club run by Glenn Petersen who later became a good friend and adviser. Like any kid I thought I was good, of course that was a ridiculous notion. After taking many beatings from players of all strengths I decided to hit the big time. There was a stronger club about 10 miles away from where I lived. The Westfield Chess Club had many strong players so I saved my lunch money ( I'm not kidding) and joined up. It was November 1973 that I played my first USCF rated game. The tournament was the club championship and there were different categories. I of course continued to believe I was strong but was still put into the lowest section. Some how I unbelievably went 11-0! which gave me my first rating of 1430. I became a master about a year and a half after and was off and running. My first trip abroad was to Sweden and Norway with a high school group. That group included future G.M. 's Michael Rohde, Jon Tisdall, and Ron Henley along with a future World Junior Champion Mark Diesen. The trip was alot of fun and the team did very well. Other trips followed, the National Open in Las Vegas and the famous Lone Pine tournament in California. The Hastings Challengers and the Islington Open rapped up 1976. In 1977 I got my first FIDE rating, 2480, even I have to say I was very overrated. That rating though got me into the 1977/78 Hastings Premier. There I almost defeated former World Champion Tigran Petrosian with a Jon Tisdall novelty in a Keres Attack. I made a respectable score and this gave me good confidence. I wrapped up the I.M. title in 1978. The hunt for the G.M. title was long and brutal. Many near misses norms nearly expiring but in the end I made it by the skin of my teeth. The final norm was made at the Dubai Olympiad where I had a team beat score of 8-2 on board 4. Making the title was a great experience but was tempered by the United States failing to win the Olympiad after leading most of the way. My chess career has had it's ups and downs but what doesn't. I've been a second numerous times to G.M. 's such as James Tarjan, Tatiana Lematchko, Joel Benjamin, Walter Browne, Nick de firmian and Gata Kamsky. I've gotten 2 Olympic bronze metals, one as a captain, one as a player and one olympic silver medal as a player. Recently I've coached kids teams and was the women's team captain at the 1998 Elista Olympics. I've won every major U.S. tournament except the U.S. Championship (I'm still working on that!) and numerous international tournaments. Some people think my win at the 1989 New York Open was my best result. I was ranked 41st and won with a 7-2 score. I've written a book called "The Complete Benko Gambit" and have contributed to every major chess publication. I currently reside in Greenwich Village, New York with my girlfriend Angela. My hobbies now are cooking, going to the gym, reading, watching sports and drinking beer. Several years back I attempted to become a French Chef, unfortunately my knife skills left something to be desired and that was that. In the future I don't rule out another shot at the chef business but for now I'm a chessplayer and proud to be one! I hope this helps you to know me be better, good luck in chess and life.